Gail is a qualified teacher, assessor and internal quality educational assessor who has taught holistic therapies in further education for eight years. 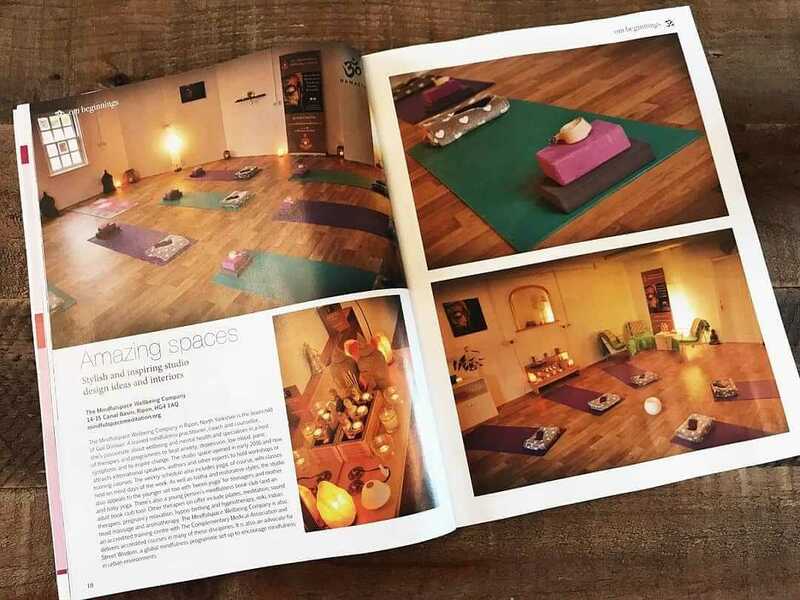 She then went on to set up The Mindfulspace Wellbeing Company in 2016, which is her own accredited training centre. She offers small bespoke, professional personal training courses. She specialises in training and mentoring adults who are wanting to change careers or up-skill within the well-being industry. The training centre has a private, waterside location in Ripon, North Yorkshire. It has free private parking for learners, clients and guests. Gail writes and designs all her own courses of which are all insured and they are accredited by The Complementary Medical Association of which the training centre is a member and a registered college. The link below will take you to college profile on The Complementary Medical Association’s website. Includes pre-course work, training manual, two practical visits, written exam, assessment and certification. Includes pre-course work, training manual, practical assessment, written exam and certification. Includes pre-course work, training manual, three visits, practical assessment, written exam, three case studies and certification. Includes pre-course work, training manual, three practical visits and assessments, written exam, three case studies and certification. Includes pre-course work, training manual, four practical visits, assessments, written exam, four case studies and certification. Private one to one tuition is available, please enquire for prices and available date. If you are interested in a particular course and would like more information or an application form, please click the enquiries button below.